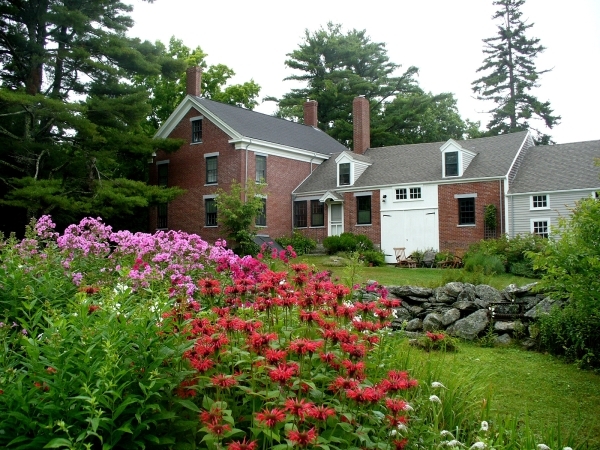 Secretary of the Interior Sally Jewell designated the Frances Perkins Homestead National Historic Landmark on August 25, 2014. Sarah Peskin, Center board member and nomination author, presented it to the National Park Service and its Advisory Board, making the case for the site to join those receiving the nation’s highest honor for privately-owned historic places. Today some 2,500 historic places bear this distinction, representing the most important 3% of properties listed in the National Register of Historic Places. “We were pleased to receive over 20 fine support letters for this designation from local, state and national individuals and organizations,” noted Executive Director Michael Chaney, “including the Newcastle board of selectmen, presidents of Mount Holyoke College, Maine Preservation and Historic New England, and many others. Listed in the National Register since 2009, the Perkins Homestead is nationally significant as the ancestral home of Frances Perkins, U.S. Secretary of Labor from 1933-45 and first woman to serve in a presidential cabinet. Perkins was the principal architect behind many of the New Deal policies undertaken to combat the Great Depression and improve the lives and working conditions for generations of Americans. Among her many accomplishments in a long and productive career, she is credited with establishing Social Security, standardizing the forty-hour work week, banning child labor and developing the nation’s unemployment insurance and worker compensation systems. To learn about our campaign to preserve this important historic landmark click here.